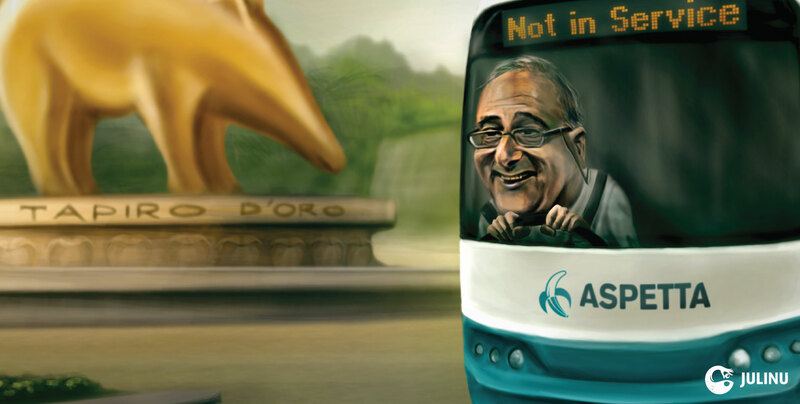 This illustration was created during the peak of the chaos experienced with the introduction of a new public transport system in Malta in 2011. In order to reflect the general sentiment felt by frustrated commuters I illustrated the Minister at the time driving a scratched bus displaying the dreaded “Not In Service” message on top. 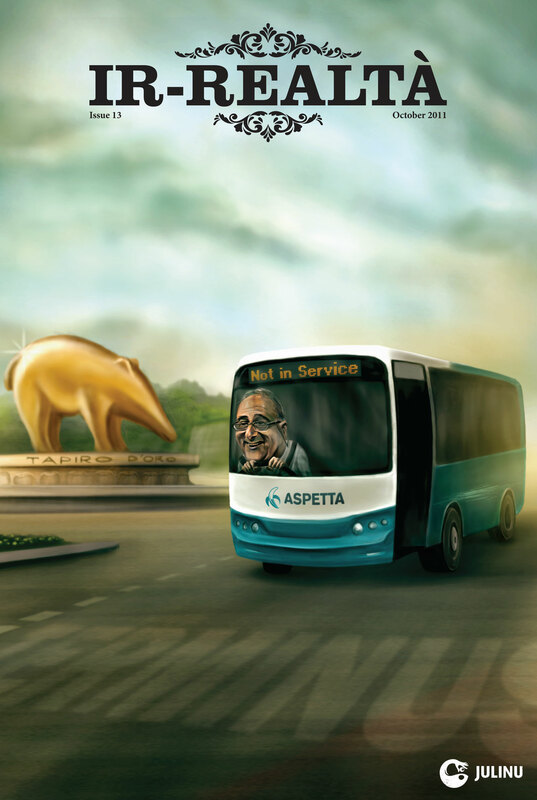 Additional satirical touches include the transformation of the Arriva logo into “Aspetta” (lit. Wait) together with a peeled banana. The golden monument at the back (the Tapiro d’Oro) is a reference to an award created by well-known, Italian, satirical program Striscia la Notizia that is given to popular figures who commit some significant gaffes.